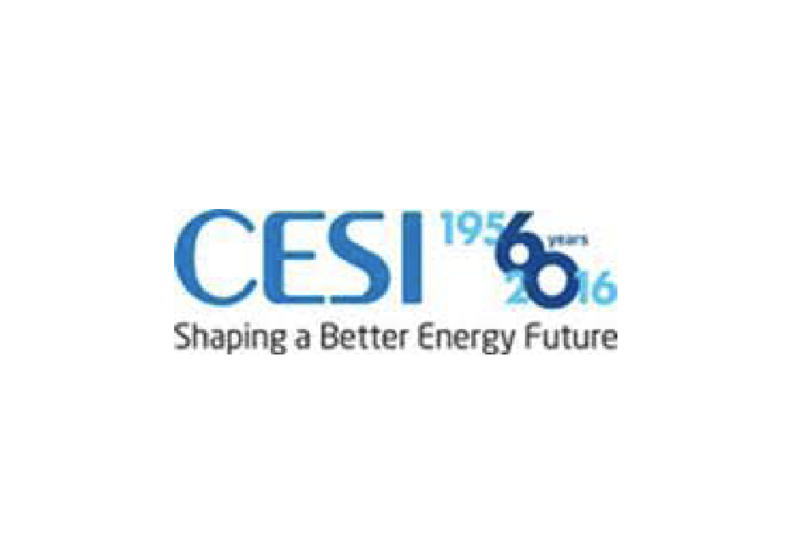 CESI is a world leading technical consulting company with over 60 years of expertise and experience operating in six main areas including testing, certification, third party investigation, quality assurance, electrical transmission and distribution, renewable energy and storage, power generation, engineering & environment. Services cover the entire energy value chain starting from policies, markets, regulations, planning up to the end user. CESI, now employing around 1000 people and operating in 40 countries world-wide, has a relevant experience as global consultant in power sector liberalization process, in particular in energy pricing regulations, planning, technological knowledge and experience relevant to generation, transmission and distribution of energy, and in design, organization and regulation of energy markets. CESI has supported transmission and distribution system operators, generations companies and network owners by providing solutions to specific technical problems like system security, energy management, demand side management, regional power system planning, network congestion management, load forecasting, real-time energy balancing, transmission network flexibility assessments and improvements, interconnections and energy prices forecasting on sectorial and state level. Among CESI shareholders, it is worth mentioning the participation of TERNA (Italian Transmission System Operator, 42.6% of shares) and ENEL (Italian Power Generator and Distribution Company, 42.6% of shares) and other utilities. In October 2004 CESI took over ISMES, a company that enables CESI to expand the range of services by working in the fields of environmental risk, design support and structural assessment on buildings and structures, with tests and studies on mechanical and industrial components. Through the acquisition, in 2005, of IPH (Berlin) and FGH (Mannheim), CESI becomes the leader in the international market of electric equipment testing. Recently (September 2014) CESI established and opened the newest and largest HVDC Laboratory facility in the world at FGH Mannheim in Germany. CESI is able to perform a full range of testing activities on components and systems in its testing facilities in Milan, Italy, Berlin and Mannheim, Germany. These tests, generally aimed at evaluating system interoperability, compliance and performance, are conducted in full synergy with consulting activities in order to offer clients a complete and reliable assessment of technologies and their capacity for integration into existing systems and networks. CESI has wide experience in working in the Middle East, including in UAE, Saudi Arabia, Sultanate of Oman having been awarded several contracts in the last years in the region. The Middle East Region is positioned as a focus area, where local presence and commitment are regarded as key values for success. As evidence for a long term commitment to this important dynamic and highly attractive region, CESI opened their regional headquarters in United Arab Emirates in the year 2011, which has been fully operational since the year 2012. For your kind information, CESI Middle East FZE, is a wholly owned subsidiary of CESI S.p.A, Italy.